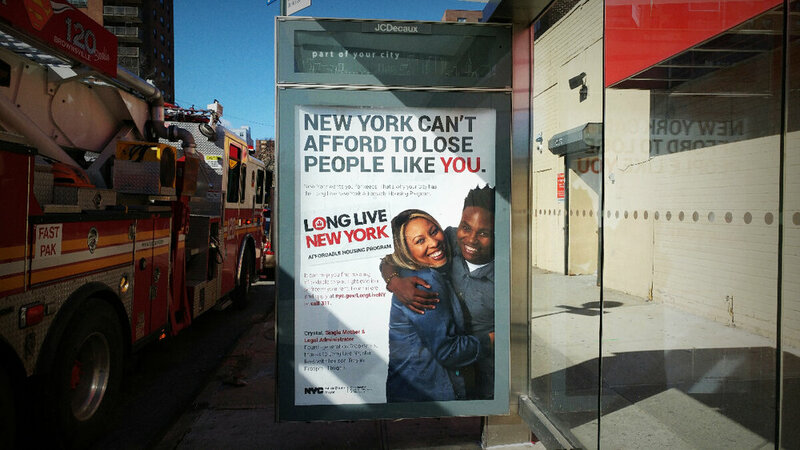 Our task was to communicate that the City of New York is stepping in to help the most needy New Yorkers continue to live in the city they call home. More than half of renters in New York City are “rent-burdened.” Life-long New Yorkers feel as if they are being pushed out, threatening the diversity and distinctiveness of the city we love. The perception of many New Yorkers is that “the rent is too damn high” and that no-one was doing anything about it. Our task was to communicate that the City of New York is stepping in to help. Mayor de Blasio launched the most comprehensive and audacious affordable housing plan in the country, building and preserving 200,000 affordable apartments, providing legal support for those targeted by landlords, freezing rents for vulnerable citizens, and more. The challenge was that each of the City’s housing initiatives were developed by different agencies and communicated separately through different channels. This meant a disconnect between the ‘housing plan’ many New Yorkers were hearing about and the concrete services available to them. Finally, we needed to overcome the misperception that “affordable housing” meant “public housing.” We had to let working and middle class people know that they could qualify for help. 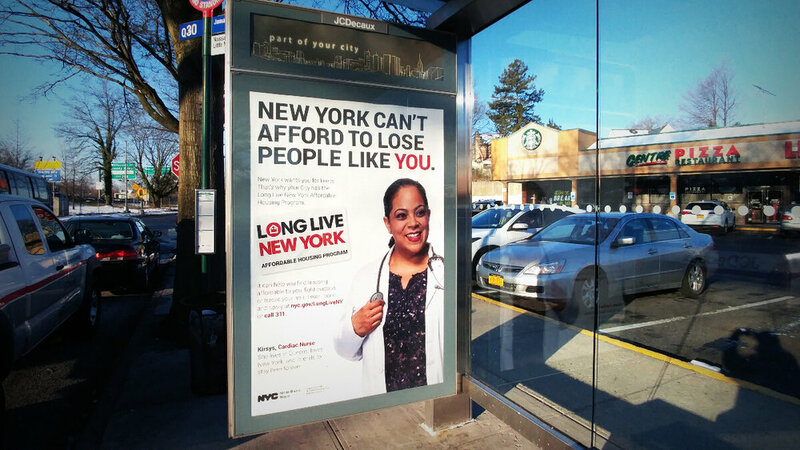 We developed a bold, eye-catching campaign to tell New Yorkers about the tremendous successes of the Mayor’s affordable housing initiatives, to tell people how to apply and help connect the vast array of programs in an accessible way. 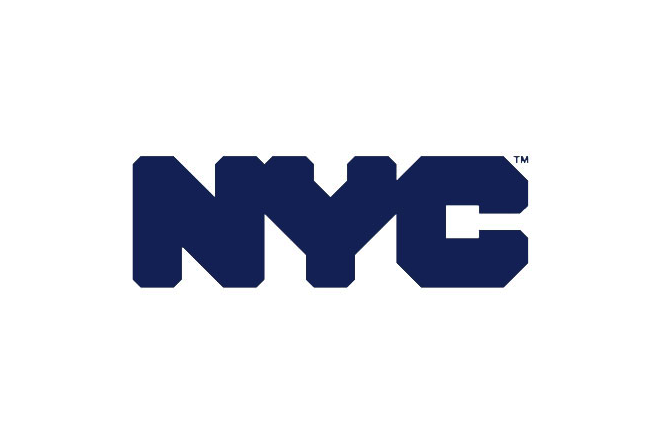 This conveyed to New Yorkers that the City values them and is actively dedicated to helping them live and remain in the city they love. To combat the misperceptions of the term “affordable housing” we found a diverse group of New Yorkers of all income levels and professions (nurses, artists and blue-collar workers) who had benefited from the Mayor’s housing program. We brought together all elements of the City’s affordable housing program by creating a unified, succinct call-to-action outlining all the elements of the Mayor’s initiative and how New Yorkers could sign up. Finally, we recommended one single website, which was developed by the City at nyc.gov/longliveNY, where folks could learn about and apply for all the various housing programs. 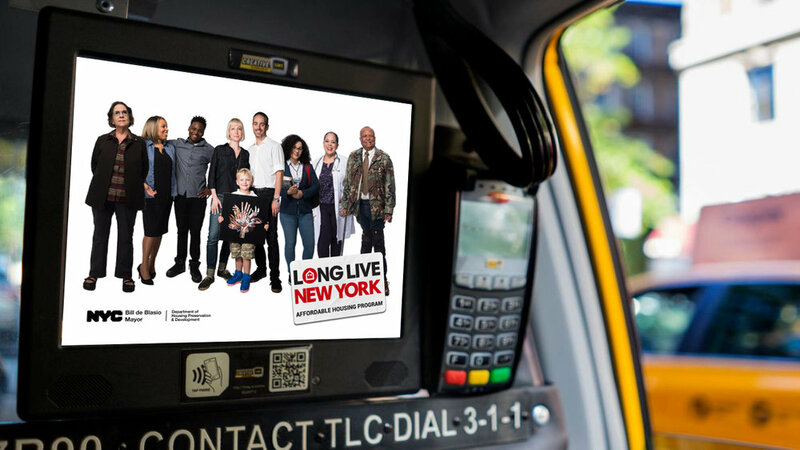 The Long Live New York campaign is currently being rolled out across the city on bus shelters, digital street signage, and throughout the subway system. New Yorkers are learning about the city’s audacious plan to ensure a city that’s affordable for all, and getting access to more help with their number-one expense. We’re proud of our work for the city we love and celebrate every single day.